I am encouraging Dillon voters to elect Doug Roessel as mayor on April 1. I like Kevin Burns and consider him a friend, but Doug is the better candidate for two reasons. First, Doug has experience in corporate America and is a successful entrepreneur in Dillon. In contrast, Kevin has no business or executive experience that I am aware of. Dillon needs a successful businessman like Doug leading the way. Second, while the town’s recent travails cannot be placed at Kevin’s feet, there is no denying the fact that he was on the town council during most of them. Like many people in Dillon, I hold the town council, including Kevin, responsible for not coming clean about the reasons Chief Neumeyer resigned after a brief time on the job and received a handsome severance package. I note that the town council, including Kevin, recently voted to pay the former town manager, Joe Wray, more severance than was required under his employment contract. I do not consider that a wise use of my taxpayer money. I hope Kevin remains active in Dillon, but the best choice for mayor right now is someone with business experience who can provide new leadership, Doug Roessel. 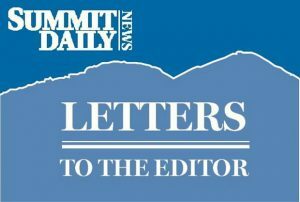 Summit Daily letters: Why wreck our economy over minimal environmental gains? Arapahoe Basin 0” 3” 73"
Loveland Ski Area 0” 2” 70"